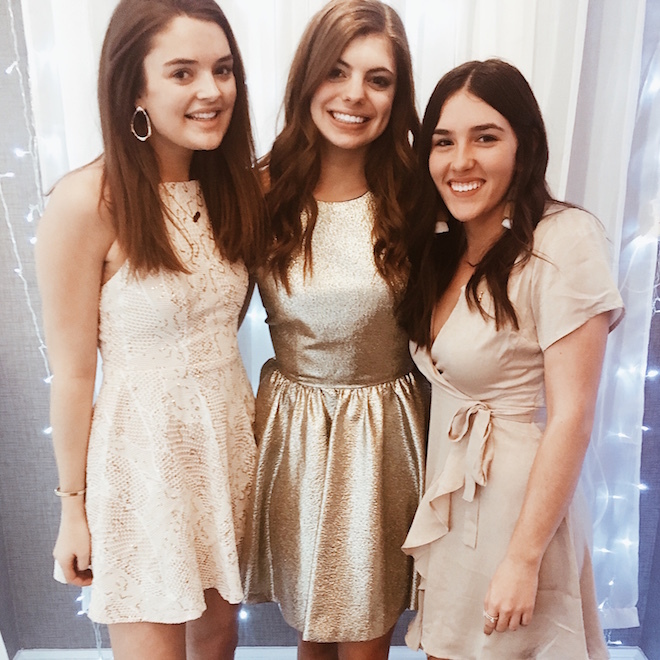 Our color scheme for preference round was champagne, which was actually kind of fun because we had a lot of freedom with different shades we could wear. It was so exciting getting to have deep conversations with potential new delta gammas! 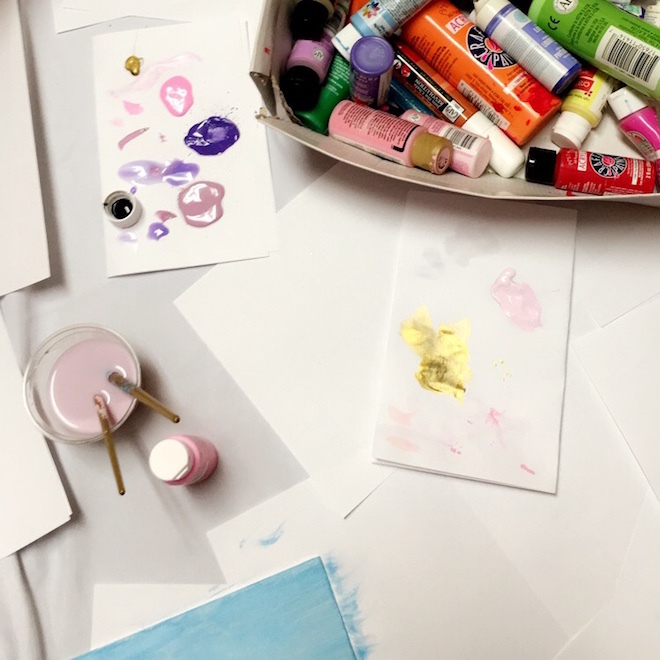 One of the activities we do the week of bid night is to do a canvas painting party with all of the new girls. It's such a fun way to meet new people and do something creative. My roomies and I painted a few that night for our future littles too! If you're familiar with IU at all, then you've probable heard the infamous 'This is Indiana" song. Our theme for Bid Night was crimson and cream but "This is Delta Gamma" instead! Two of my best friends planned the entire thing and they seriously made it such an incredible night. Since I'm the new apparel chair, I also got to design the sweatshirts and beanies we gave all of the babies and then the similar version we made for my MC too. It was my first official project and I had so much fun with it. How was your week? I'm so jealous of people who are just moving back to school this weekend!